Midland, TX, March 25th, 2019 – Professional Document Systems Inc. (PDS) has just announced that they’ve been selected by Concho Resources, Inc. to complete a critical document scanning project for the company. As part of the working project, PDS will work with the Midland, Texas, independent oil and gas producer to scan and index over 8,000 boxes of company records. 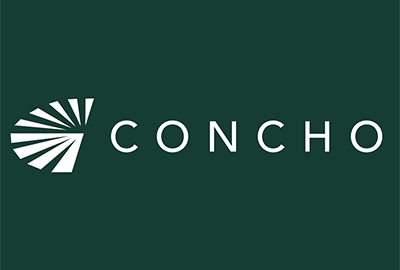 The digital files created during the project will be imported into Conchos’s enterprise content management system for immediate integration and dissemination to stakeholders. The new contract signed with Concho Resources, Inc. is the largest contract signed in PDS’s history. The project will begin in early 2019 and is expected to be completed by 2020. An area that has helped PDS to fulfill the specifications within this contract is the company’s investment in the document conversion department infrastructure. This investment has helped PDS become more adept at meeting large-scale demands and responding effectively to challenges in data scanning and sorting requirements. PDS’s project will help Concho Resources, Inc. to capitalize on the many benefits that document scanning can bring to the modern organization. For example, companies now depend on specialists such as PDS for producing easily-accessible documents that can be shared among work teams. One of the key benefits of document scanning technology is that it ensures data is available to teams working around the globe through the same network. Paper documents limit collaboration, while digital documents bring colleagues together and bridge the communication gap that often leads to limited productivity. Another clear advantage of the document scanning systems offered by PDS is that it can help companies to limit the required space within their buildings. Paper copies can take up a large amount of valuable real estate with filing cabinets and desk drawers in the office setting. Digitizing the data from the documents through the document scanning process helps remove the need for physical storage space. By working with PDS, companies such as Concho Resources, Inc. are now saving money on office units and supporting their team with quick digital access to vital office documents. PDS has decades of experience in the document scanning industry and works with the latest systems to ensure accuracy and security within their work. It’s a commitment to the highest industry standards that has helped the company continue to succeed over their years in the marketplace. To learn more about PDS and the company’s latest contract with Concho Resources, Inc., please visit PDS’s website at www.pdswest.com or by calling 1-(800) 644-7112.